Welcome to this exceptional property with a separate building lot. 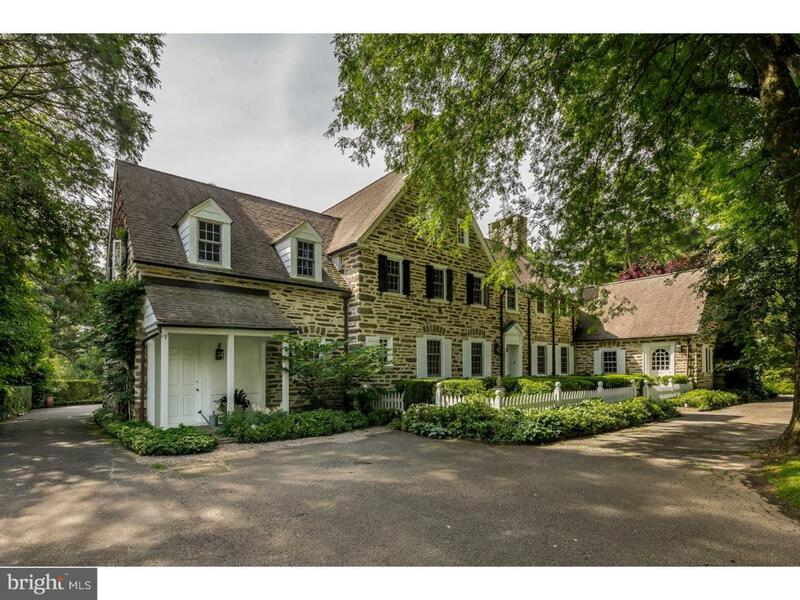 Offered to the public for the first time in over 40 years, welcome to "Old Orchard" located in the very desirable West Mount Airy section of Philadelphia. 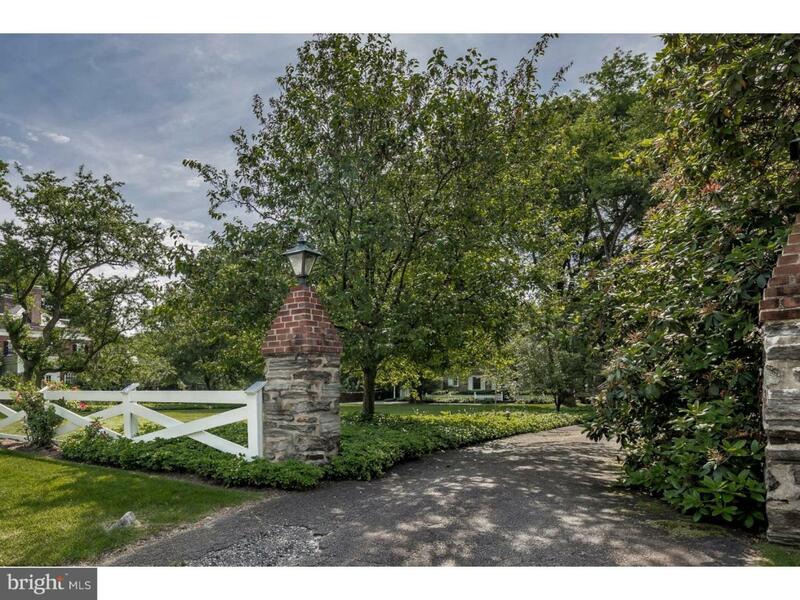 Originally built in 1930, in the Pennsylvania Farmhouse Style, this exquisite residence has recently undergone a comprehensive renovation by the current owners. The definition of a labor of love, you will love every inch of this fabulous home, beautifully sited on two separate parcels totaling 1.35 acres. The first floor features a brightly lit, open floor plan with coveted architectural details and moldings, offering five bedrooms, four full and one half bath. Enter a large center hall with formal dining room to your left, formal living room with fireplace to your right additionally a handsome wood paneled library with fireplace and sunroom with radiant flagstone floors. The gourmet, eat in kitchen features custom cabinets, granite countertops, premium appliances, radiant heated floors and adjacent mudroom. Upstairs, in addition to a gorgeous master suite with walk in closet, sitting room with fireplace, two floors of family bedrooms, baths, office, laundry and comfortable living spaces. On the lower level, you'll find an Immaculate basement with plenty of room for exercise area, wine room, and recreation. Updated electrical plan and HVAC. Entertaining and relaxing outside is a joy on beautiful flagstone terraces. Extensive mature landscape plan, thoughtfully designed and lovingly maintained for decades by avid, knowledgeable horticulturists creating an extremely private setting. 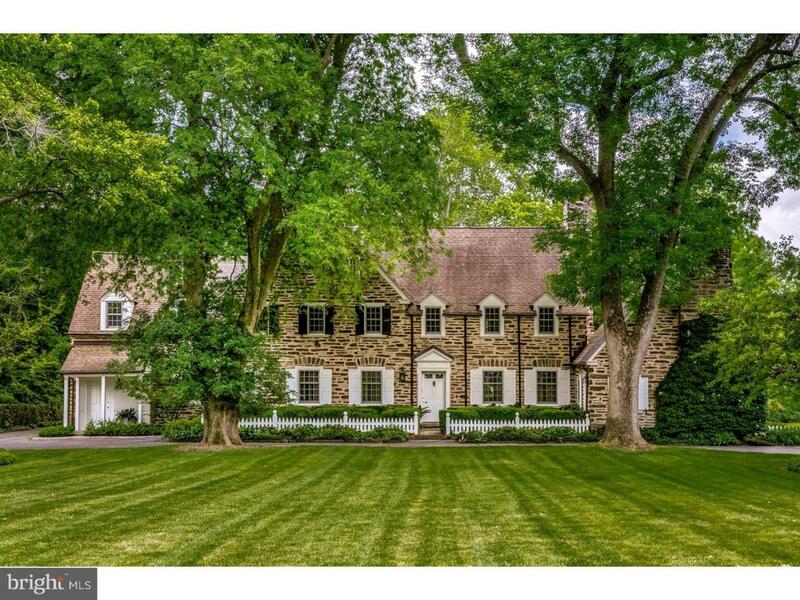 This property is a unique combination of a classic Philadelphia home with all the modern amenities you could wish for. Walk to public transportation, the Wissahickon Trails and a short drive to Mount Airy and Chestnut Hill shops, restaurants, and Center City. It simply doesn't get any better than this! 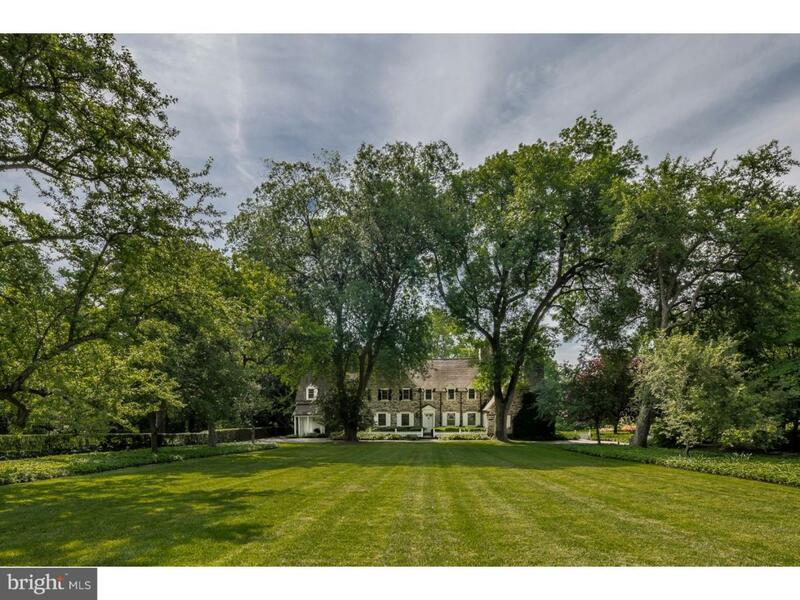 Listing courtesy of Kurfiss Sotheby's International Realty.